The Florida Restaurant and Lodging Association (FRLA) is thrilled to bring Nashville’s top songwriters to the South Walton Beaches Wine & Food Festival. 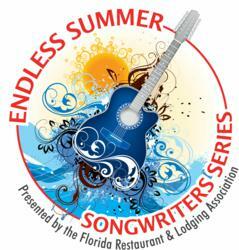 As a continuation of the Endless Summer Songwriters Series, FRLA is proud to sponsor the event that will be held April 25-28 in Grand Boulevard at Sandestin, located along South Walton's picturesque Northwest Florida beaches. During the Grand Tastings on Saturday, April 27th and Sunday, April 28th, the songwriters will perform and tell stories about their biggest hits written for the stars of the music business, including Rascal Flatts, Faith Hill, Vince Gill and many others. Please go to http://www.FRLA.org for the festival schedule and a full list of songwriters who will be performing. FRLA’s mission is to ‘Protect, Educate and Promote’ Florida’s hospitality industry – which represents a $67.2 billion industry, 23% of Florida’s economy, $3.4 billion in sales tax revenue, and over one million employees, making it Florida’s largest employer. It is Florida's premier non-profit, hospitality industry trade association. FRLA safeguards the needs of the hospitality industry, improves the business climate, promotes the highest levels of quality and safety for our patrons, provides legislative advocacy, and eases navigation of government regulation. The Association represents and serves more than 10,000 independent and household name members, including theme parks. For more information, go to http://www.FRLA.org. South Walton Beaches Wine & Food Festival is an annual charity event held the last weekend of April. The festival features a stunning showcase of the best wines the world has to offer. Celebrity wine producers and chefs will present fine wine and food pairings from the world’s most famous appellations. The Culinary Village presents the Savor South Walton Culinary Pavilion showcasing a sumptuous array of foods to taste, wines to pair, as well as wine and food seminars and cooking demonstrations. The event is a major fundraiser for Destin Charity Wine Auction Foundation, which benefits children in need in Northwest Florida. For more information, including a list of attending winemakers and to purchase tickets, visit http://www.SoWalWine.com.